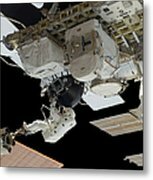 While anchored to the foot restraint on the Canadarm2, an astronaut removes a faulty control moment gyroscope (CMG-3) and installs a new CMG into the station's Z1 truss. 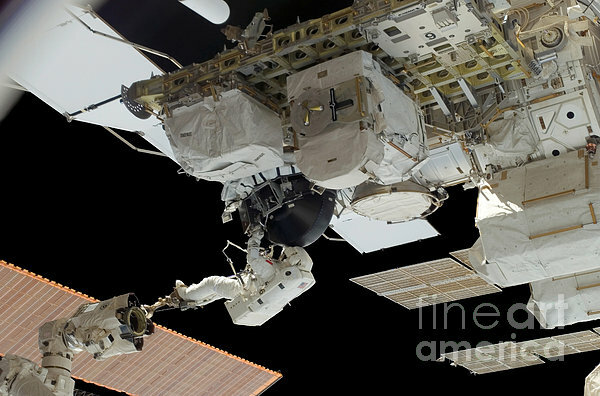 The failed CMG will remain at its temporary stowage location on the station's exterior until it is returned to Earth on a later shuttle mission. 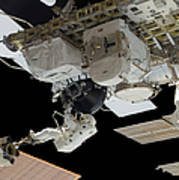 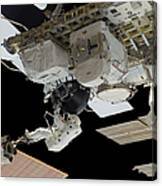 The new gyroscope is one of four CMGs that are used to control the station's altitude in orbit.